This shot of a WWII field communications team is a reminder that much of the early development of surveillance served legitimate national defence objectives. The development of surveillance as an espionage tool during the cold-war ostensibly still had national security as its underlying motive. The subsequent migration of surveillance techniques into every aspect of modern life from shopping and driving to recreation and the workplace is less easy to justify on security grounds alone. An early version of phone-hacking. 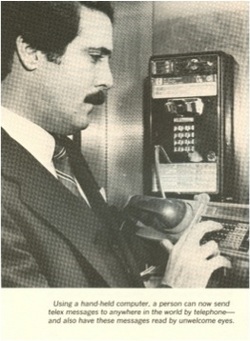 land-line, which has been used to send a telex. 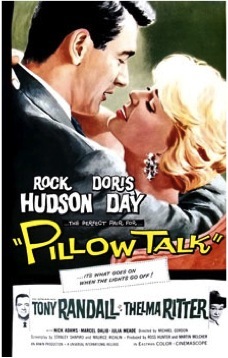 Pillow Talk (dir. Michael Gordon, 1959). A simple plot from screenwriter Stanley Shapiro which plays on the universal theme of eavesdropping, this time via the inconvenience of the ‘party line’ which was common practice for early domestic phone installations. The use of ‘technology’ to disguise the identity of the Rock Hudson character prefigures later surveillance movies with identity switches as a central theme. 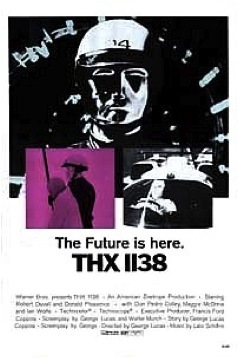 THX 1138 (dir. George Lucas, 1971). A lot on contemporary themes in this 40 year old box-office flop which now has cult status: the drug-controlled population of an underground city under constant surveillance by enforcer robots. Worship of an on-screen deity in phone-booth like ‘unichapels’. The Conversation (dir. Francis Ford Coppola, 1974). 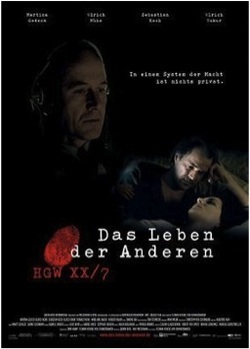 Until Lives of Others, the archetypal surveillance movie. is himself bugged and his life destroyed. 1984 (dir. Michael Radford, 1984). Every time you peel back the 'layers of the onion’ of Orwell’s 1948 novel, the extraordinary prescience and insight of his creation cannot fail to impress. Tele-screens recording every move of party members in public areas and at home. Informants, hidden microphones and children testifying to the ‘thought police’ about parental shortcomings. The Net (dir. Irwin Winkler, 1995). potential for loss of identity. Gattaca (dir. Andrew Niccol, 1997). 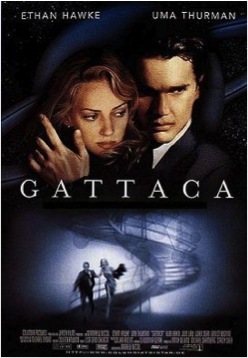 Surveillance from another angle, Gattaca addresses the moral and ethical issues surrounding DNA profiling, especially social classification via bio-metrics. Another ‘identity theft’ movie, this time exploring the potential for the intersection of medical and electronic technology in controlling society. 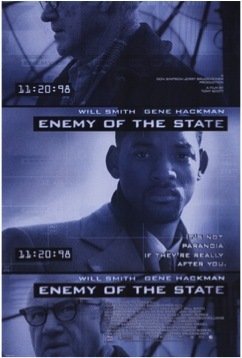 Enemy of the State (dir. Tony Scott, 1998). Layers of surveillance issues in Tony Scott’s classic. 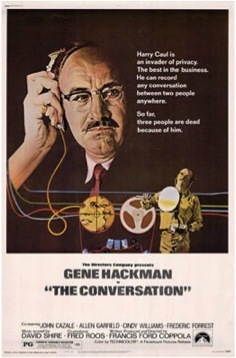 The plot revolves around the sale of a surveillance system to the U.S. government. The murder of one of the opponents to the deal is caught on camera. And the innocent lawyer on whom the evidence is planted has his life destroyed by ‘rogue’ National Security Agency surveillance. The release of this film, not co-incidentally, was into the middle of a highly-charged debate among law-makers and scholars about the ethical limits of surveillance in the late 1990s (pre. 9/11). The complexities of early surveillance techniques. code-breakers at Bletchley Park during WWII. 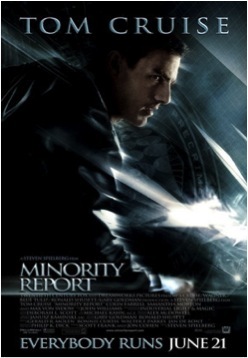 Minority Report (dir. Stephen Spielberg, 2002). More ethical issues in Spielberg’s look at the future (2054). Can psychic prediction of a crime justify apprehension of the potential criminal? Not a mainstream surveillance movie, but full of ethical questions about the ubiquity and intrusiveness of electronic media. Lives of Others (dir. Florian von Donnersmarck, 2006). underlying theme that culture is the biggest threat to despotism.